RCC celebrated our 20th anniversary in 2012. We are proud to be a company our clients continue to rely on to help manage their environmental risk and challenging sites. With our primary locations in Moorestown, NJ and Mount Holly, NJ and satellite offices in Conshohocken, PA and Wilmington, DE RCC operates principally in the Mid-Atlantic region. However, RCC has completed projects throughout the Unites States and, upon occasion, overseas for US clients. 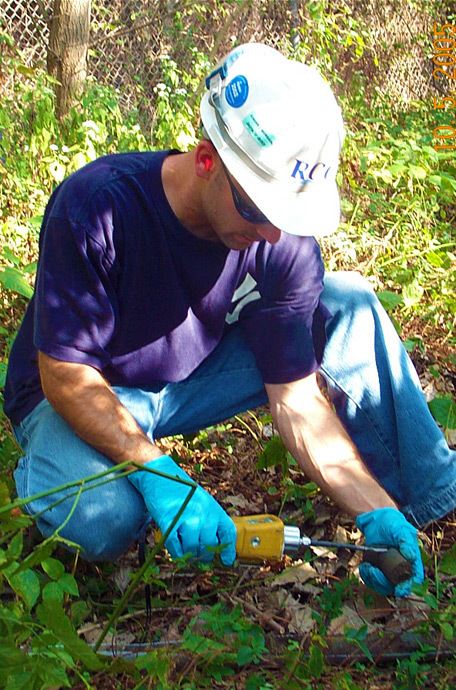 RCC was founded under the premise that environmentally impacted sites can be remediated and reused, thereby optimizing the development and use of currently underutilized real estate. RCC’s Mount Holly location in the Resource Renewal Business Park, a brownfield redevelopment project, illustrates our commitment to this fundamental ideal. Our competitive advantage is derived from our strong technical abilities, intimate knowledge of environmental regulations and the ability to utilize these in conjunction with innovative remedial technologies on behalf of our clients. Staffed with experienced and well qualified environmental professionals, our goal is to provide our clients with high quality services while offering flexibility, responsiveness and efficiency. Our mission is to provide innovative solutions to problems that impact the quality of our environment.